Available in 2 sizes, 90mm and 130mm high. Antique bronze in colour with gold and silver detail. Perfectly crafted and well designed award. 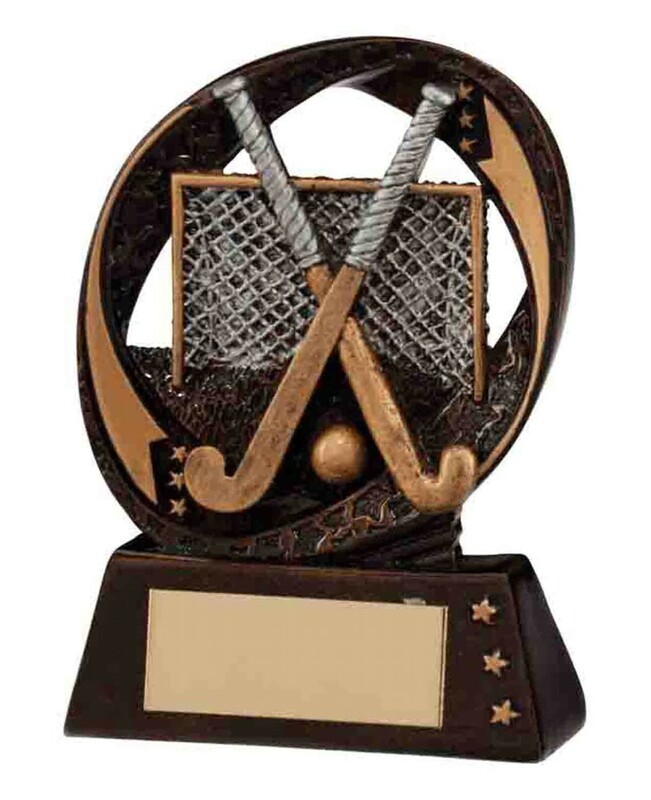 The trophy depicts hockey sticks, net and ball. Free engraved plate included and standard 1 inch centre. Please note the smallest size does not have space for a 1 inch centre. Customised centres available at an additional charge.